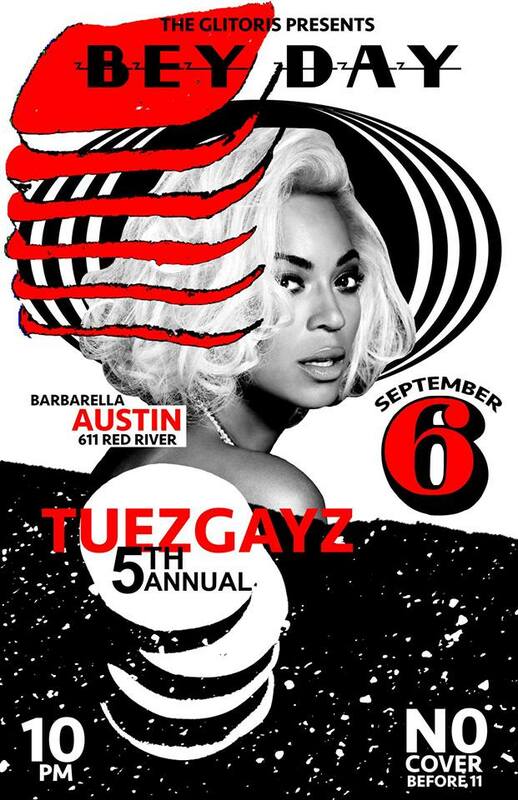 TheGlitoris presents her 5th Annual TuezGayz BEY DAY!! From “No No No” to “Lemonade” and everything in between! theGlitoris kindly extendz her invitation to join in on everything Beyoncé! TuezGay September 6th! **Small Beyonce Tribute Sets at 10pm, 11pm, 12am, & 1am! Doors at 10pm, Free Before 11pm!